Answer the question about the story, “Nightfire!”, and be eligible for one of three $20 Amazon gift cards! Hello, readers! Each day over the preceding six days, I have posted an episode of my 9,000 word short story “Nightfire!”, which I wrote after the novel, Corvette Nightfire, as a prequel to explain a bit of mystery that ran through the novel. I have no clue how many people might have read it, whether it was one (me) or a hundred, but I sincerely hope that it was an enjoyable read if you did so. I am honored. I have said that I will give the $20 Amazon gift cards to the first three readers who would send me the answer to a question about the story via e-mail. I am posting the question in the early morning. (I am in the Eastern time zone of the United States.) I will be away from my computer until the early afternoon. Send your answer to me at: cursillo86@gmail.com. I should be able to tell who the first three are by time stamps on the e-mail. If there are many more correct answers than I expect from people in different time zones all over the world, I think the fair thing to do would be to select three from a random drawing. I will only deviate from the original idea if that is the case. In any event, please send me a user name with your email that I may congratulate you publicly so everyone will know that there have been three winners selected. It is an easy question, not a trick one, so don’t doubt your answer! If the short story whetted your appetite to experience suspense, passion and heroism in international settings in the longer format of the novel, I invite you to consider reading The Z Redemption and Corvette Nightfire. Just click on the book covers below to be taken to the Amazon pages for these books in e-book or print. 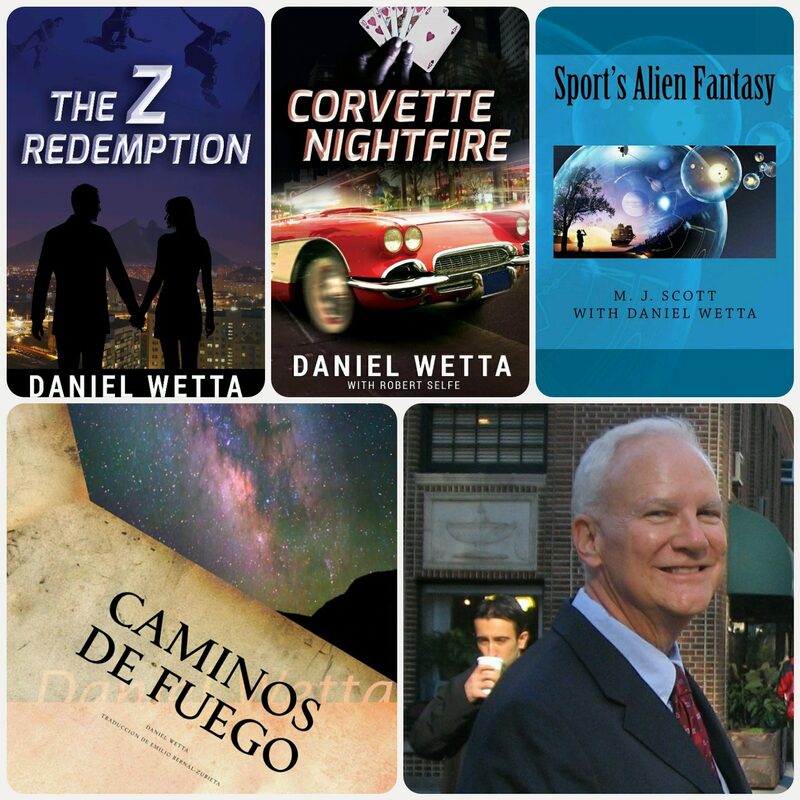 If you are interested in purchasing from other sources such as Barnes and Noble, Smashwords and Apple I-books, all that information is on my website http://www.danielwetta.com. The e-books are only $2.99 each. For those of you who get one of those books, I will say this: Thank you, and buckle up!